How to turn your Pokemon Go–addicted kid into a collector with a lifelong passion for nature. People who love the game are collectors at heart. Here’s how to entertain them forever. Here’s the thing about Pokémon Go: Despite heaps of alarmist news stories and think pieces, Pokémon Go is at the end of the day just a game, if an absorbing one. Sure, your kid may be addicted to it. That actually may not be such a bad thing. Naturalists and birders are among the most vocal proponents of Pokémon Go—they find startling similarities between wandering around the outdoors looking for digital animals and our beloved pastime of wandering around the outdoors looking for real animals. If these kids like catching a digital butterfly, they’ll love an actual flapping colorful butterfly, right? The connections between Pokémon Go and wildlife science are undeniable (the very idea for the game came from its creator feeling nostalgic for catching bugs as a child). But I disagree that we can entice kids into a life of nature by revealing the real-world antecedents of their favorite Pokémon. The reason is because Pokémon Go isn’t about the monsters. It’s about collecting. And if you’ve got a kid who likes to collect stuff, you’ve got a kid who’ll like nature. No one’s really formed a consensus on just what collecting is or why we do it. Nostalgia, some say, or the exertion of control to ease insecurity. Was I a kid somehow born with a nostalgia for Legos? Was I trying to fill a void with pictures of baseball players printed on cardboard? I’m no psychologist, but neither of those explanations feel true. I just liked it. It’s the extreme collectors who get the press (which is why you see news articles featuring ladies splayed across piles of soap or, far worse, Hoarders), but I suspect that the vast majority of us have at least a small collection of something, be it shot glasses or concert tickets. In moderate form, it’s not a disorder; it’s just something people like to do. I have been a collector since I was little. Back then I collected stickers and pasted the entire lot of them to the walls of my bedroom (amazingly, my parents never objected). As soon as I started getting money of my own, I bought baseball cards, and by the time I was in high school, I had boxes and boxes of them, with the best ones in top-loaders and screw-down cases. I spent most of what little money I had buying new cards, amassing a growing collection for the purpose of … I never really knew. Proving how much I loved baseball? I wasn’t sure what exactly it was I liked about it; I just knew it felt satisfying in somewhere deep inside my brain. Eventually, keeping up with new cards became exhausting, and I felt stupid for spending so much money scrambling around for cardboard rectangles. I stopped collecting until college, when I discovered birding. This immediately fulfilled my need to collect things but was also cheaper, more socially acceptable, and more fun than cardboard. A decade later, I’m still collecting birds. My pursuit of them has led me to travel the country. I’ve learned about science and nature. It led me to a career in conservation. Unsurprisingly, I like Pokémon Go. I downloaded the game when my birding peers started talking about how similar it was to birding and also so I would have something to talk about with the office interns during slow elevator rides. I’d never played any of the Pokémon video games before but was immediately struck by how familiar the game felt to my collector’s brain. I wanted to see what was next. I wanted to evolve the Pokémon I’d caught to “complete” them. I was hooked, and I’m still playing a week or so later. So, parents of kids who like Pokémon Go, don’t despair over your child’s obsession. Use it instead as an opportunity to steer your young ones toward a fulfilling life of outdoor appreciation. Fuel the fire of their inner collectors. It’s really easy. That old field guide to birds you’ve got lying around? Don’t think of it as a scientific tool. It’s a treasure map! Every time you identify a new species with your kids, take a big magic marker and make a big check mark, or put a big X through the bird. Pull a bunch of photos of backyard species—ants, birds, trees, dragonflies, squirrels—onto a sheet and laminate it, then give the kids whiteboard pens and tell them to catch ’em all! Pokémon Go may sniff at the edges of nature, but the real thing is so much better. Collecting is more fun than games because games end. 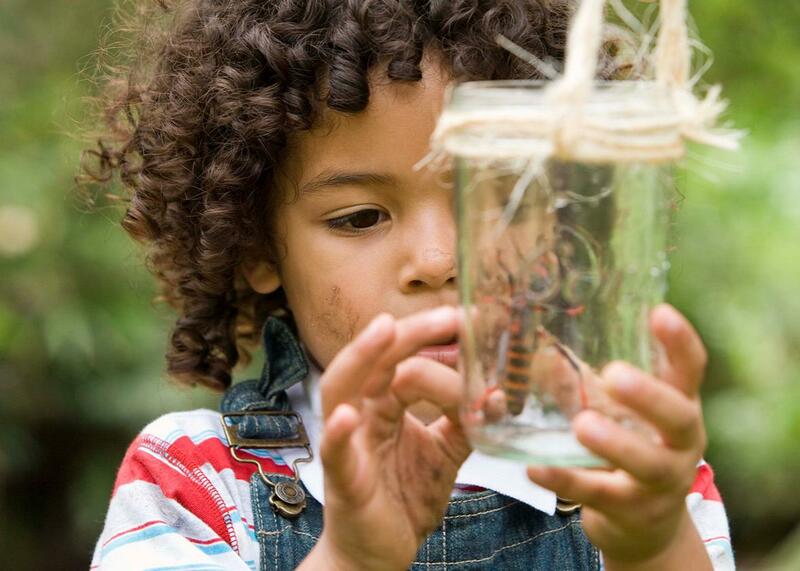 If you can get your children into the collecting aspects of nature and get them interested in exploring for each new species or experience, you’ve given them a lifetime pursuit.